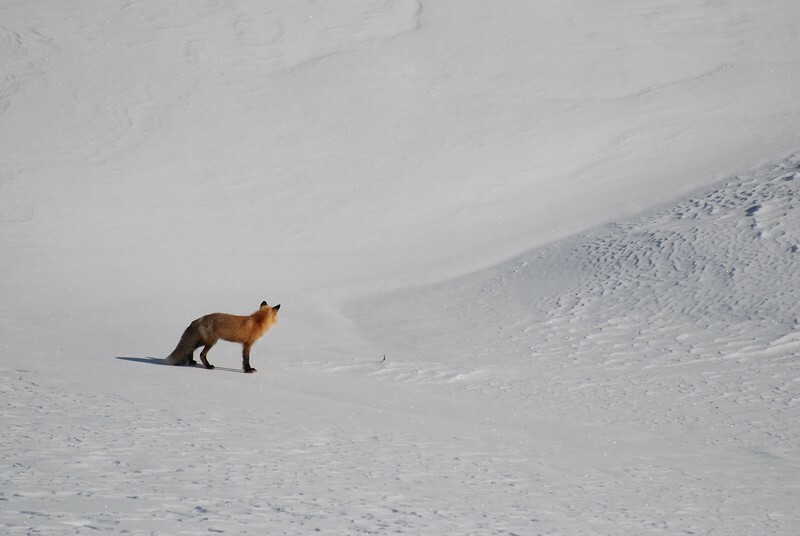 This fox is mousing. 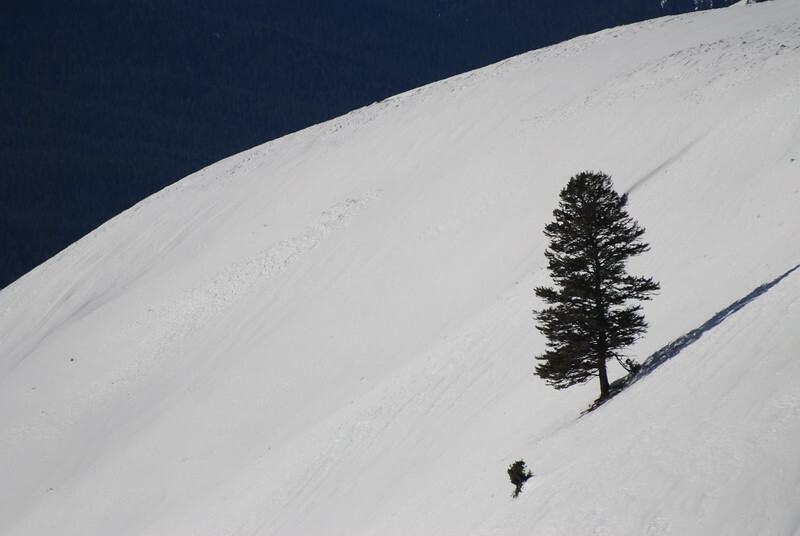 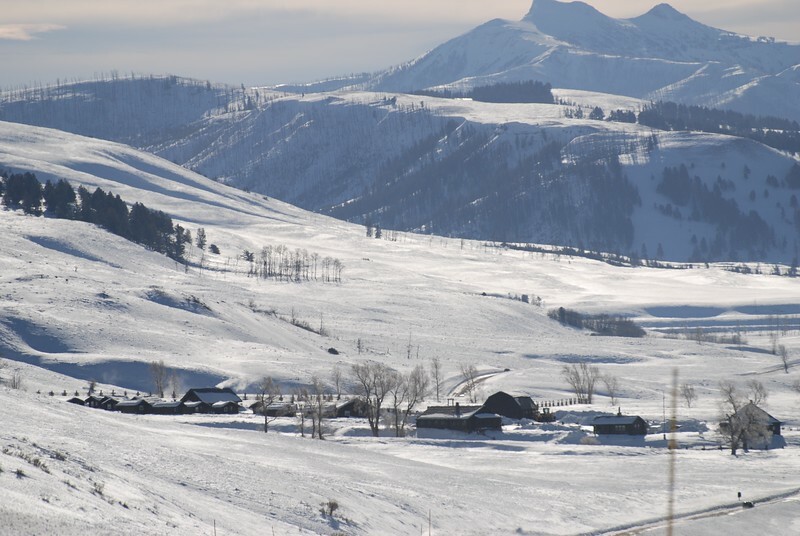 It was in Lamar Valley Yellowstone, listening for the sounds of mice under the snow. 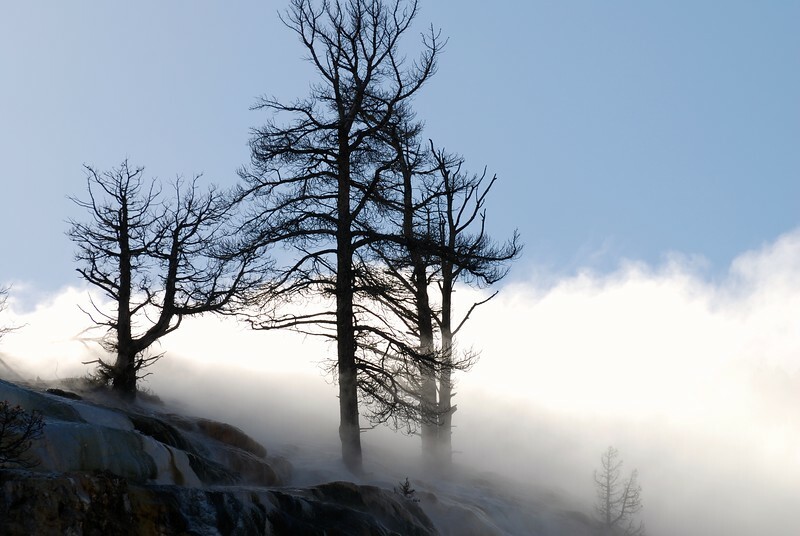 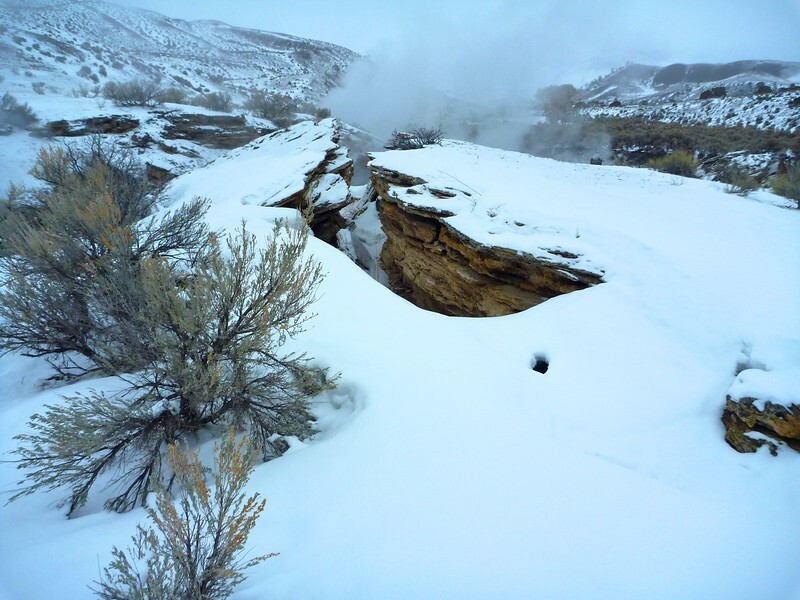 Geothermal activity in winter near the historic mammoth Hot springs hotel. 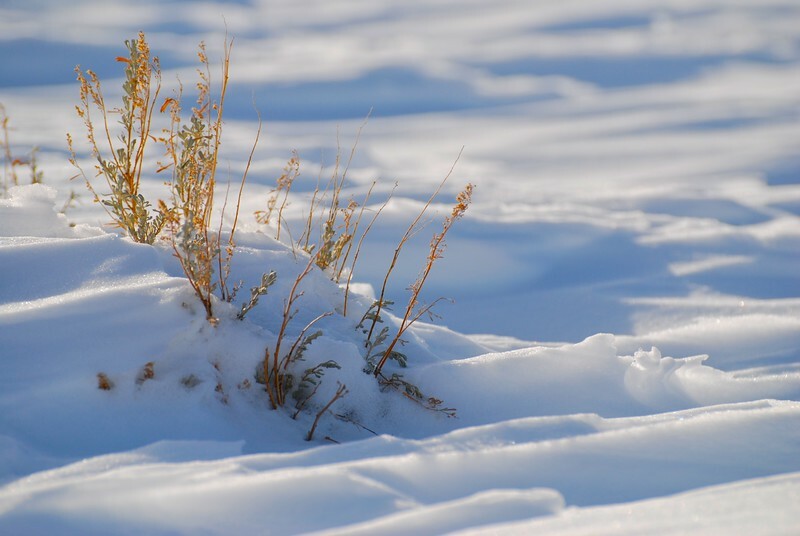 This picture was shot in winter making for some interesting subject matter. 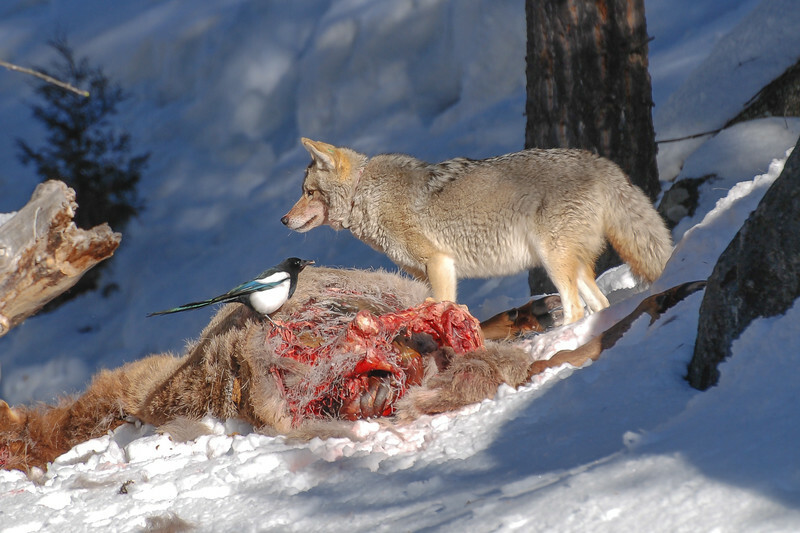 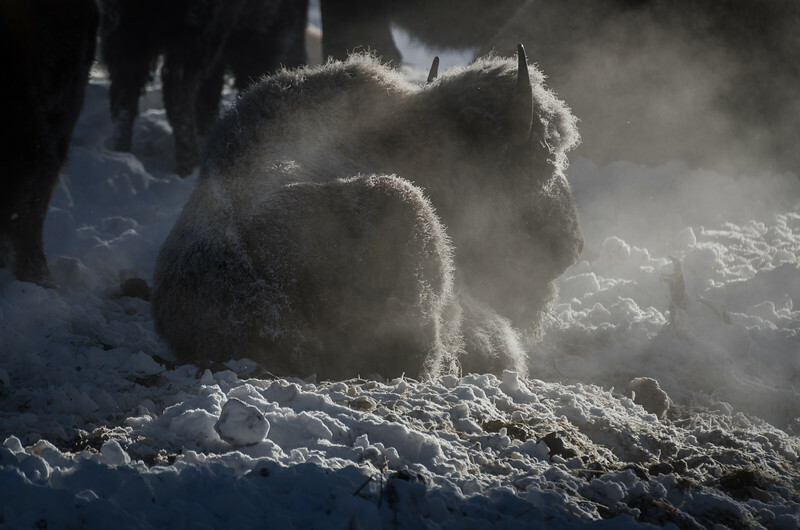 Yellowstone National Park teams with wildlife. 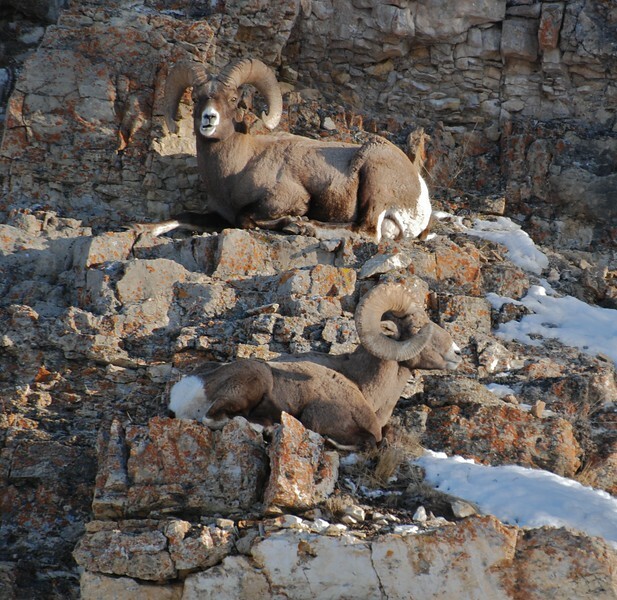 In this case two Bighorn sheep take refuge on a sunny hillside trying to stay warm in winter. 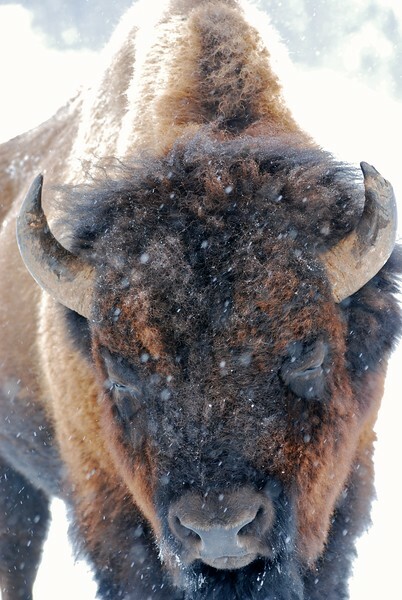 A buffalo poses for a photo during a snow storm in Yellowstone National Park. 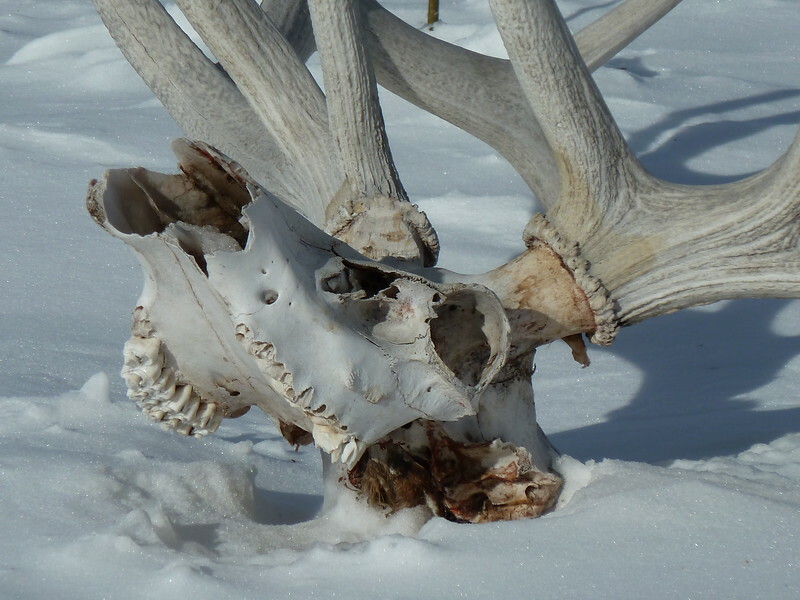 While snow shoeing on a wolf watching trip in Yellowstone National Park we came upon the soul and rack of a long deceased Elk. 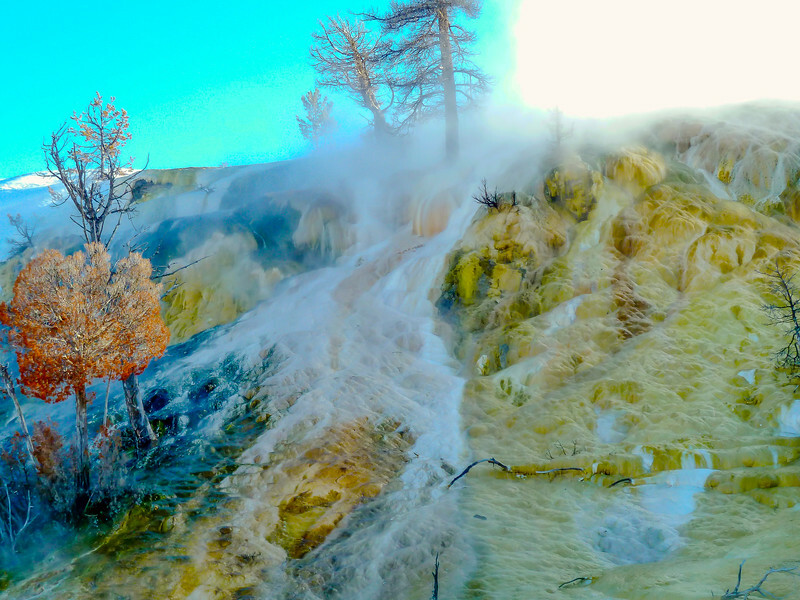 This hill side has been covered for century in geothermal water runoff. 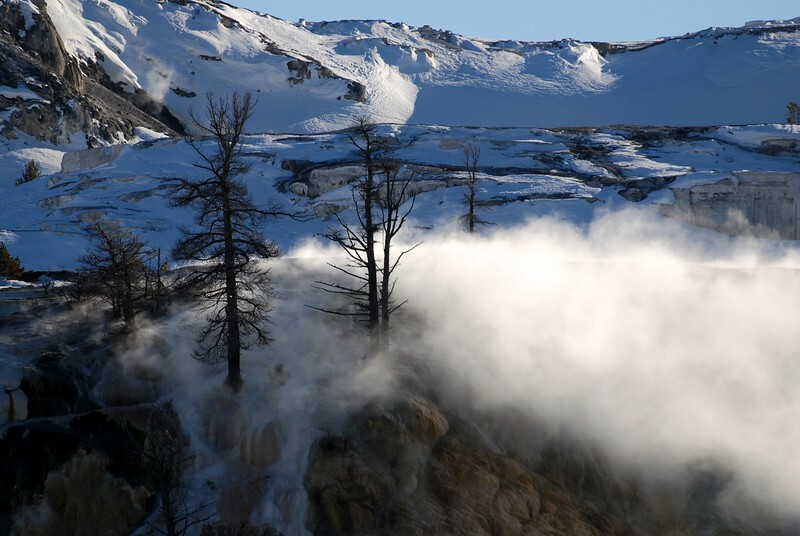 Resulting in a hillside covered in travertine. 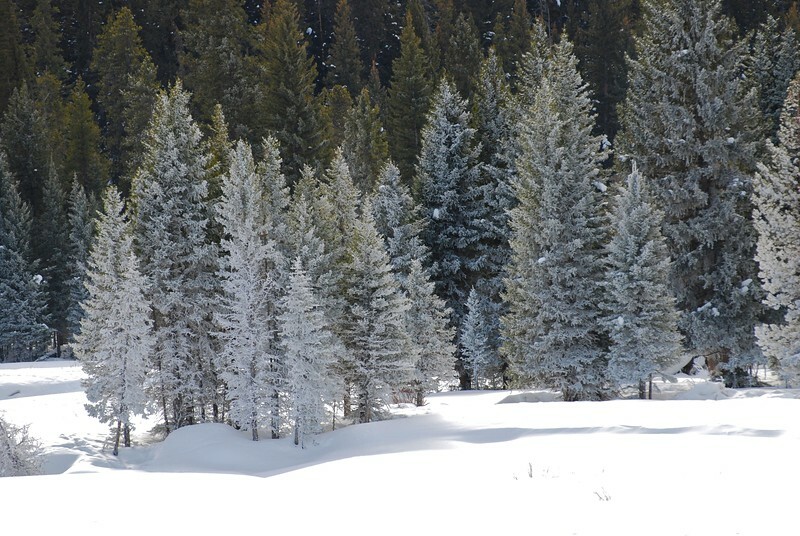 Trees can not survive the changes in their environment and slowly die off. 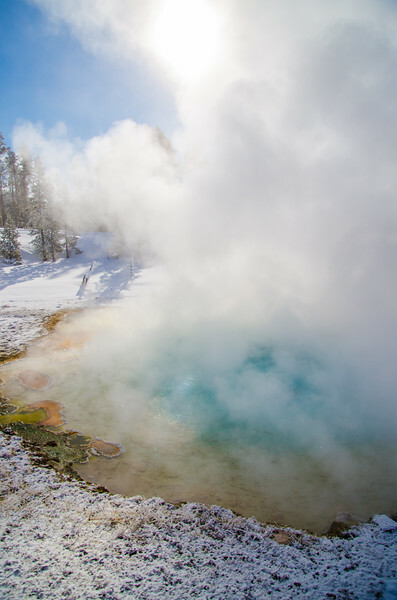 A river so hot that you can not touch or get into until it joins yellowstone river just outside of Gardnier Wyoming and is one of two places in the park where park visitors can swim in warm water. 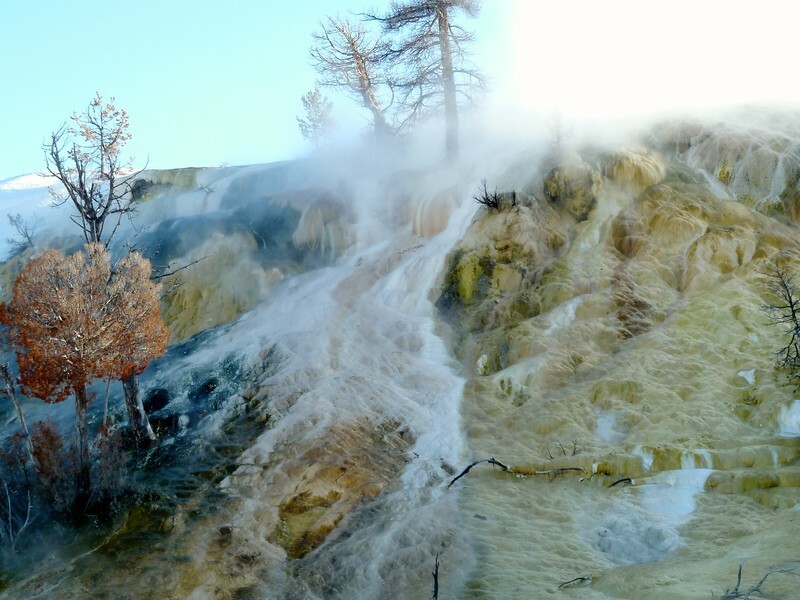 You have to swim where the Boiling River meets the Yellowstone River. 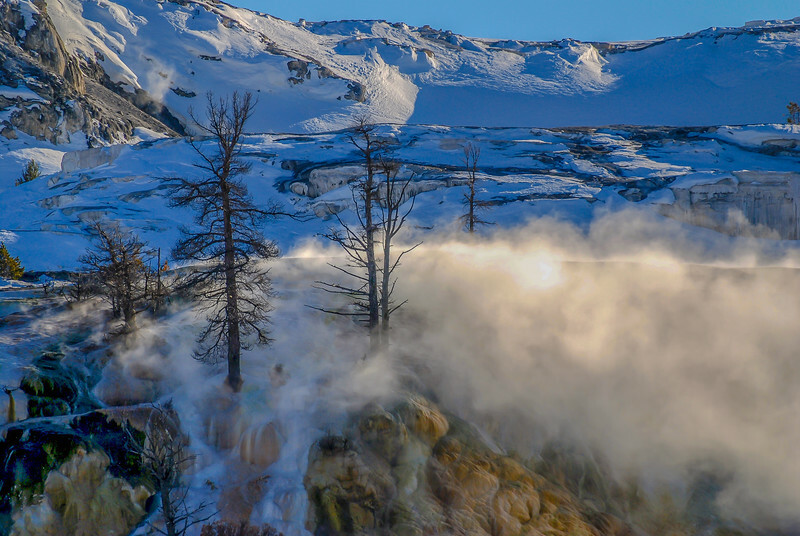 Yellowstone geothermal pool in the Old Faithful area of Yellowstone National Park in winter. 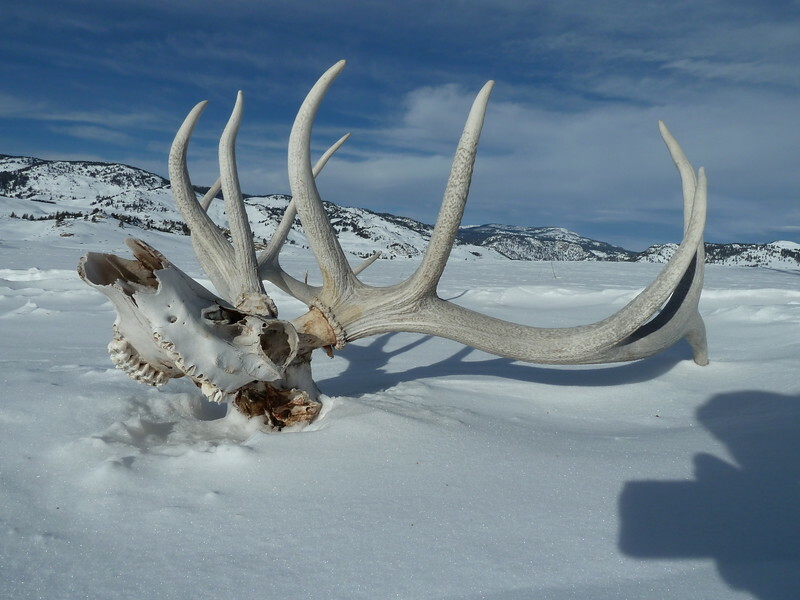 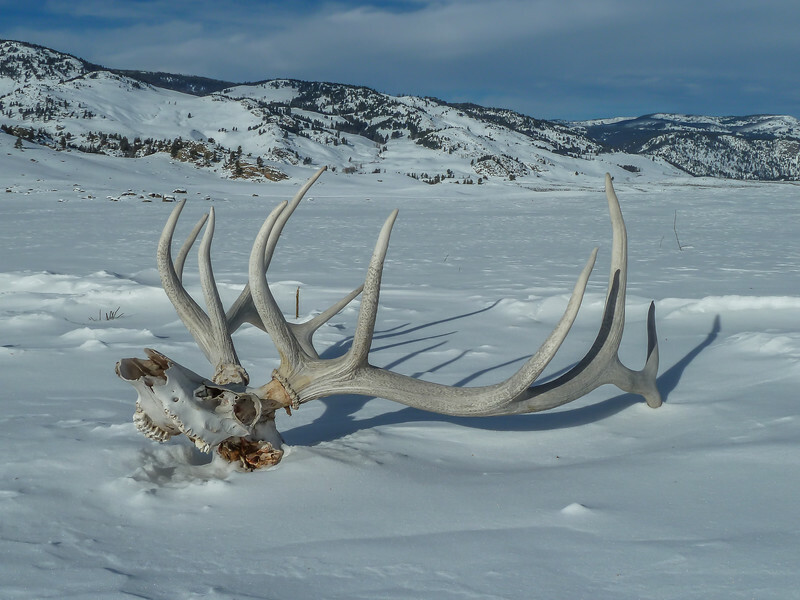 On a snow shoeing trip in Yellowstone National Park we came upon this Elk Skull lying in the snow. The picture speaks of the harsh reality of life and death in nature. 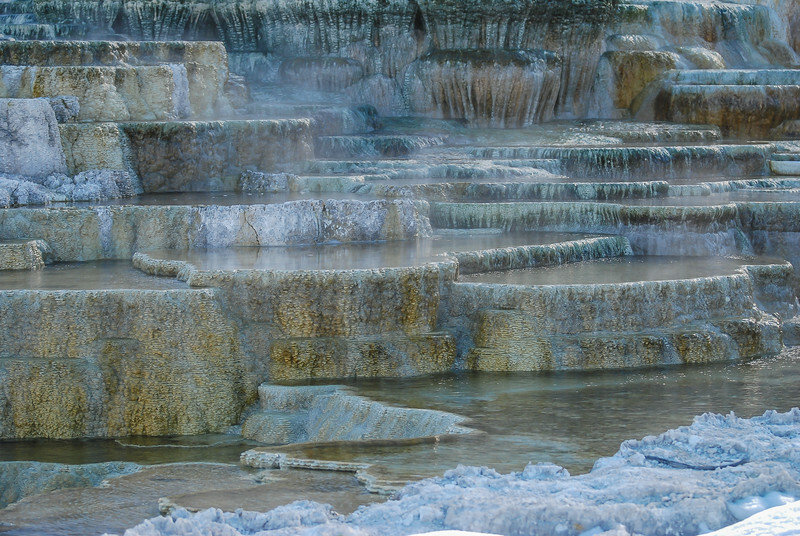 These pools can be found on the hillside near the Mammoth Hotsprings area.